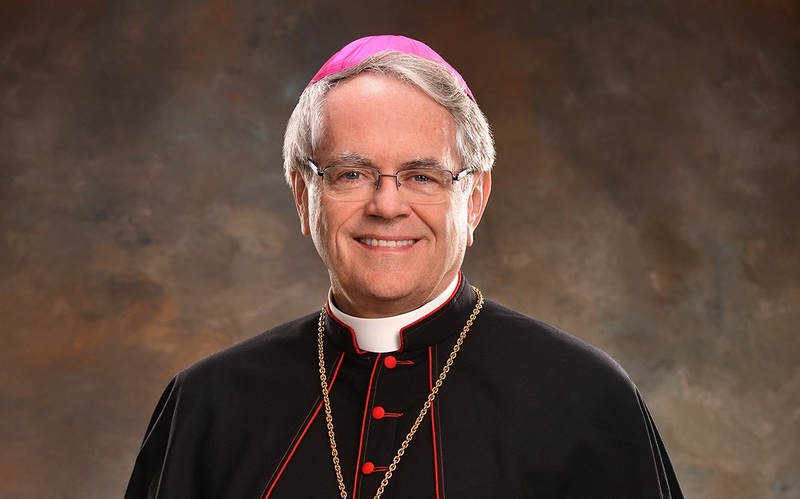 Pope Francis has named the Most Reverend George Leo Thomas as Bishop of Las Vegas, Nevada. At the same time, Pope Francis accepted the resignation of Bishop Joseph A. Pepe, who has reached the age of mandatory retirement. Bishop Pepe has served as Bishop of Las Vegas for nearly 17 years. Bishop Thomas has served as Bishop of Helena, Montana, for nearly 14 years. He will be installed as Bishop of Las Vegas on May 15, 2018. There are nearly 750,000 Catholics in the Diocese of Las Vegas, a Catholic population nearly 15 times the size of the Diocese of Helena. During his tenure in the Archdiocese of Seattle, Father Thomas served in four different parishes, chaired Catholic Charities-Seattle and the Archdiocesan Housing Authority, and was night chaplain for King County Jail for 13 years. While in Seattle, Father Thomas served as Chancellor and Vicar General for three different Archbishops during a span of 17 years. He holds two Masters’ Degrees and a Ph.D. from the University of Washington. He was appointed as Auxiliary Bishop of Seattle on November 19, 1999, and ordained Bishop on January 28, 2000. Bishop Thomas was appointed as Bishop of Helena on March 23, 2004, and installed on June 4 that same year.